It is important before entering upon any discussion or debate that one proposes clear and concise definitions of terms. Failure in this area, however, seems quite common today. One wonders whether many of the current debates facing Reformed circles are not precipitated by this very kind of imprecision. And yet this is merely another area where we can learn from the Scholasticism of the orthodox period. Scholasticism refers primarily to the method used by early modern as well as medieval thinkers when engaged in academic discourse, and, although it would be highly incorrect to assume that this definition of the phenomenon denies that method can and does affect content, it remains the case that scholasticism provided the form and structure for a series of academic disciplines, including philosophy and medicine; was not tied to a particular content; and was designed to facilitate rather than impede conclusions. As a method it was employed equally by Reformed, Lutheran, and Roman Catholic theologians and philosophers, often to deploy rather different assumptions and content and to draw very different conclusions. – From the forward to William Van Asselt’s Introduction to Reformed Scholasticism (Grand Rapids, Reformation Heritage Books,2011), x. As a result, the word orthodoxy also has a normative meaning in which a close connection is established with the teaching of the church throughout the ages. The term orthodoxy can also establish a close connection between systematic theology and the church’s confessional documents. The term orthodoxy differs from scholasticism, in that the former pertains to correct content, while the latter has to do with an academic method. The meanings of these terms thus do not coincide (pp. 5-6). Similarly, Lambertus M. De Rijk has helpfully defined Scholasticism as “a method which is characterized, both on the level of research and on the level of teaching, by the use of an ever recurring system of concepts, distinctions, definitions, propositional analyses, argumentational techniques and disputational methods” (cited in Van Asselt, p. 7). 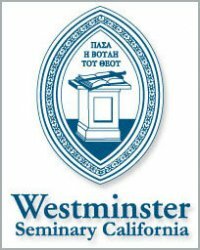 Thus, “scholasticism” should be understood primarily in terms of method (mainly academic), while “orthodoxy” should be understood in terms of the content and/or doctrine of a certain period (namely the Reformed, Lutheran and Catholic theologies of the 16th-18th centuries). Athanasius’s story is one of ups and downs. It is a story of joy and fellowship, as well as suffering, persecution, and pilgrimage. In other words, it is the Christian’s story. Often however, it is difficult for modern-day Christians to relate to the lives of Christians long ago. It seems ancient Christians suffered for their faith in a way that we do not. But is this actually so? Simonetta Carr, in her latest book Athanasius, offers a compelling illustration of just how much we have in common with Christians from long ago. Aimed at children (ages 7-12), the book wonderfully sets forth the life and actions of one of the great leaders in the ancient church (4th century). Not content with mere names and dates, the author delicately weaves the story together, as it is driven along by the historical issues of the day. In addition to all this, nearly every page is lavished with beautiful illustrations which pour depth and color upon the narrative. This is truly an aesthetically pleasing book. And yet its beauty not withstanding, what is most compelling of all is the way in which the author ties the ideas and events of history directly to the lives and imaginations of young readers today. They “see” how and why we confess the Nicene Creed in Church (for instance). Drawn into the particular challenges facing Athanasius and Christians long ago, the reader is also instructed in how much we have in common today — most importantly, that we confess the very same Christian faith. “Athanasius was greatly loved and greatly hated during his lifetime,” writes the author. “He has been called “Athanasius contra mundum’, which in Latin means, ‘Athanasius against the world’ (p. 52). And while we today often don’t feel so connected to our ancient Christian brothers and sisters, it is helpful and encouraging to read books which remind us of that unity and give us a better longing for that day when we will all confess together our same God and Savior, Jesus Christ. This book comes highly recommended and should be ordered from Reformation Heritage Books here. * As part of the special book give-away tour, the publishers have allowed me to give away one (1) free copy of the book Athanasius, by Simonetta Carr! So, the fifth person who contacts me at brendenlink@yahoo.com wins their very own free copy! [update: 9-29-2011] Congratulations to Brianna! 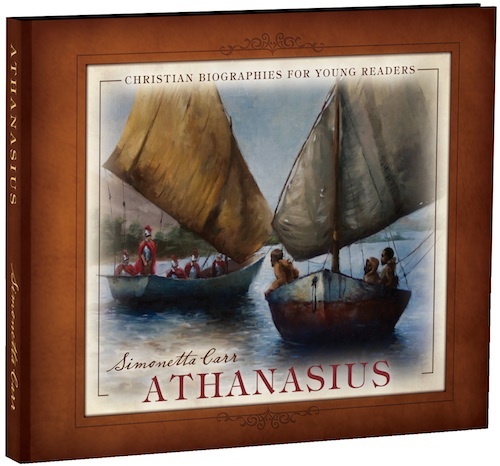 She has won her free copy of Simonetta Carr’s Athanasius!